Could Canadian Alcoholics Finally Get A Cure? A startup based in British Columbia is offering Canadians a new, and effective, way to combat alcoholism. It flies in the face of Alcoholics Anonymous' "cold turkey" method, which has been shown to have a sucess rate between 5 and 10 per cent. There's just one catch: You need to keep drinking. PICTURE POSED BY MODEL A woman drinking alcohol. Alcohol addictions can be treated without going cold turkey. One of these things is actually possible, according to a Canadian startup based in British Columbia. Alavida is challenging the accepted orthodoxy that if you want to stop drinking, you have to stop drinking -- period. And the startup is claiming some startling early results. "The 12 steps are so deeply ingrained in the United States that many people, including doctors and therapists, believe attending meetings, earning one's sobriety chips, and never taking another sip of alcohol is the only way to get better." However, upon closer inspection, this "success" has been a very slick PR job. Everybody knows about AA. Everybody accepts that they are the best bet to beat alcoholism. "I'm just saying it should be prescribed to that tiny group who can make use of it. It's terribly harmful when you send 90 per cent of the people for the wrong treatment advice." If AA doesn't work for 90 per cent of alcoholics, what does work? Alavida says that a Finnish "gradual detox" program works better. Without getting technical, here is how it works. But before each drink you take a pleasure-suppressing pill that contains naltrexone. Why? 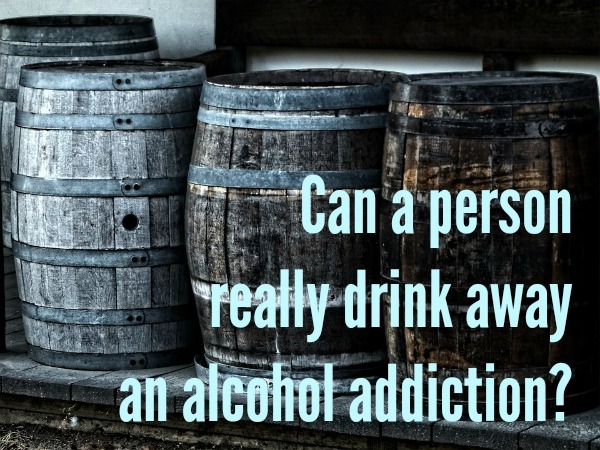 Because people drink to get pleasure or to escape from displeasure. When you are addicted to something, you are desperate for that "hit" of pleasure. The alcohol hijacks the brain's natural rewards system over many repetitions, often over many years. By taking the pill, you ensure that the alcohol will not bring pleasure. Quite the opposite, every time you drink, you'll experience less pleasure, or "unpleasure." You will train your brain to not want to drink as much. The process of decoupling the stimulus from the reward is called "extinction." The catch is that you have to keep drinking. If you take the natrexone without taking alcohol an hour later, it will not help at all. This notion caught the attention of Dr. Diane Rothon, the former Chief Coroner of British Columbia and the co-founder of Alavida. With over 30 years experience in addiction medicine and a deep understanding of the shortcomings of the current system, Dr. Rothon sees Alavida as an opportunity to use private enterprise to give Canadians what AA can't. During a six year period, over 6,000 patients were treated in ContrAl Clinics in Finland. A controlled scientific study found that the program has a 78 percent success rate. The thing about this is that "success" is not measured as abstinence. 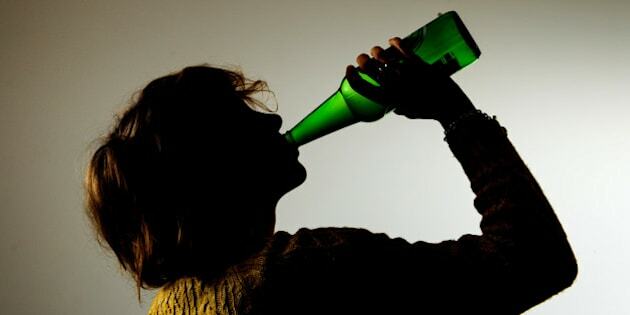 It is measured as normal social drinking levels, although 25 per cent of patients were abstainers by the final month of treatment. But this method is not designed to stop people from drinking. It is designed to stop people from being addicted to drinking. The FDA approved naltrexone as an alcohol abuse treatment in 1994. And now Canadians have access. "We took a program that is science based, with a 4 out of 5 success rate, and we've brought it to the comfort of people's homes. No meetings. No breech of privacy. No unnecessary add-ons that drive up cost." Nevertheless, there is a cost. In this case, that cost is $5,000. Getting rid of an alcohol problem is surely worth that money. The cost is less than a detox facility would charge for a few weeks of treatment, but it is high enough that it could still deter people who need it. One question that is still unanswered is how to tell which program is the best one for a particular person. If AA works for some people, and if pills and therapy work for others, how does one identify the right program for the right people? It seems to me that if we could identify the people who would respond best to a 12-step approach and who would respond best to medication, we could reduce the problems of alcohol. Maybe the real secret is to match the person to the treatment. In the meantime, Canadians have one more option, and the success rate seems promising.